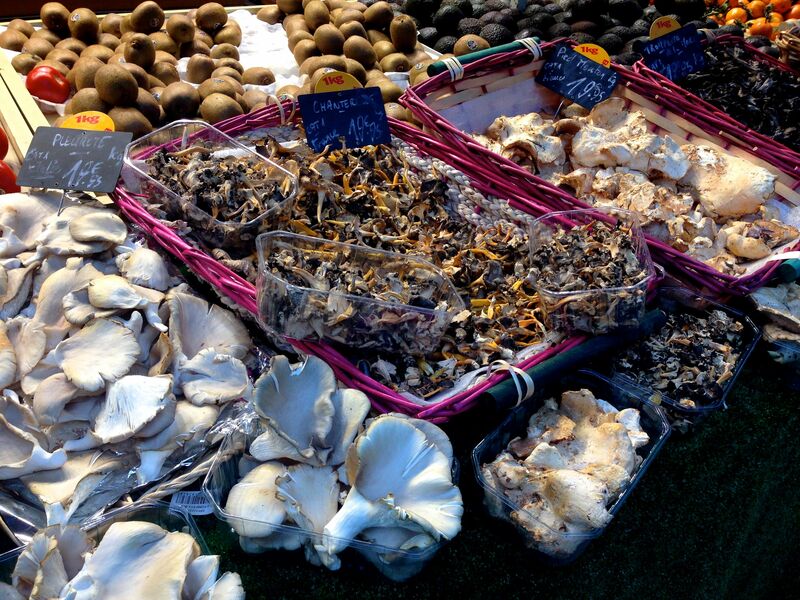 There are over three thousand varieties of wild mushrooms in France, and only a fraction of those are edible. One of the most habitable environments for mushroom production in the world, France produces a large amount of a wide variety of prized mushroom species, and as such it is a very competitive sport for producers large and small. In a previous post I discussed the truffle variety in Périgord facing competition by Chinese fakes, and it seems that truffles aren’t the only French mushroom in conflict. Seeing a dramatic reduction in yield over the recent years, many French mushroom growers (who have purchased expensive mushroom-abundant land specifically for the business of harvesting them each year) are quick to blame Romanian migrants, Bulgarian migrants, or “Romas” who illegally harvest mushrooms and sell them to Spanish companies for a price; these companies then export the mushrooms back to France for an even higher price. The Cepe variety, the most “gourmet” and expensive type of the common wild mushroom, is the holy grail of the Spanish import/export fraud. But experts and social scientists are skeptical of the actual impact illegal mushroom picking has on the industry. The term “Roma” refers to an ethnic group living in Europe, originally from Romania but of a slightly different history and ethnic category. Romas contribute to a community of about 20,000 in France, and are highly discriminated against for their nomadic lifestyle which includes setting up temporary camps. Many are accused of stealing, kept from attending school, and denied jobs or health care. It becomes a question of who is to blame – if this community is denied access to social programs and basic human rights, and an abundance of mushrooms grows in the natural earth surrounding them, is it really stealing? Many lawmakers admit that the regulations surrounding mushrooms are difficult to enforce and understand because they are made up of a complicated mix of property rights, local law, environmental and scientific regulations, business laws, and tax regulations. In France, social and political issues are often played out on a cultural stage surrounding an issue completely unrelated. In this case it seems the issue of Romanian migration and integration is being fought out over the mushroom industry. 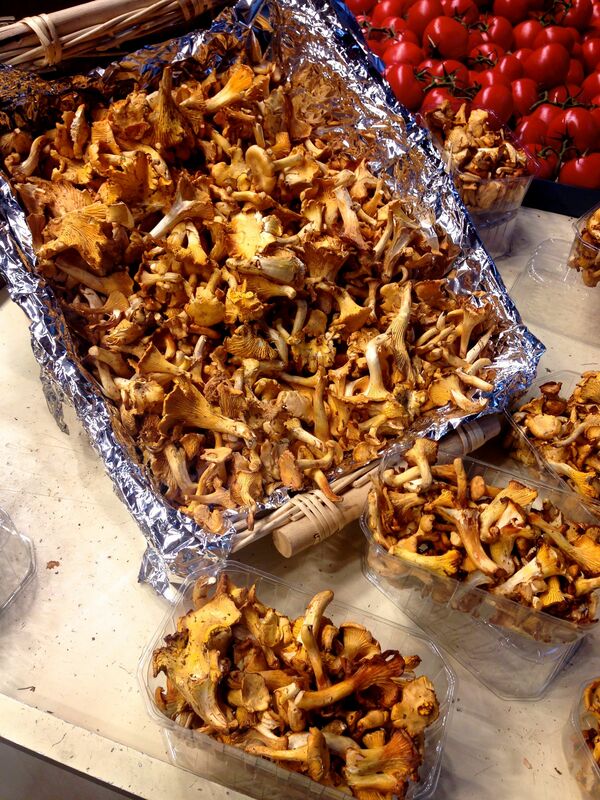 I decided to take a closer look at wild mushrooms in France, and went to my local market to pick up a few of each variety they had available. This is one of the huge cultural and culinary differences between France and the States – in California, at least, mushroom hunting is considered a hobby for Pacific Northwest hipsters. It will never be profitable, simply because there are too many people and not enough wild mushrooms. France is unique for this fact alone, but also in the way wild mushroom hunting has progressed through history as a familial pastime tied to the seasons and the land. At the market, I picked up SIX varieties of wild mushrooms. While they may not all be directly from France (okay, only half were) the fact that there is such a demand for a wide variety of mushroom species speaks volumes about French culinary preferences. And of course, I had do to something with all those mushrooms…so I made a “six mushroom (!!!) beef hash” with carrots, celery, onions, crispy potatoes and herbs! 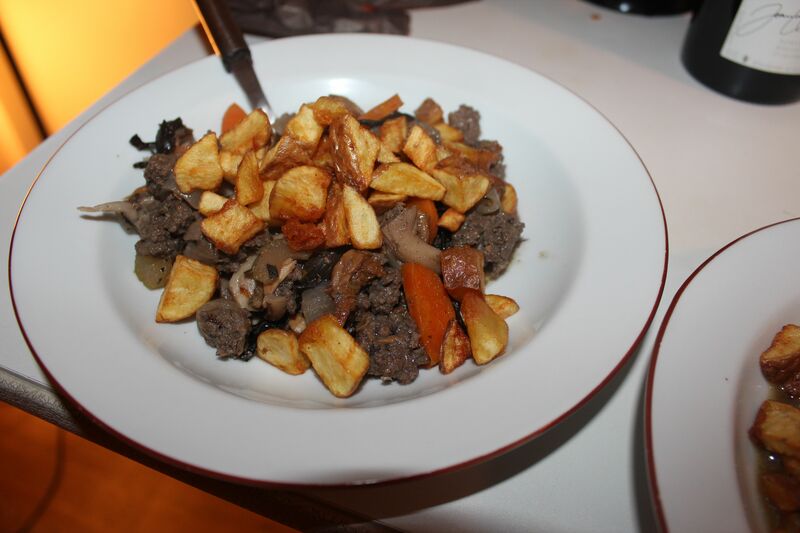 The outcome of all my “urban mushroom hunting” – six mushroom beef hash! 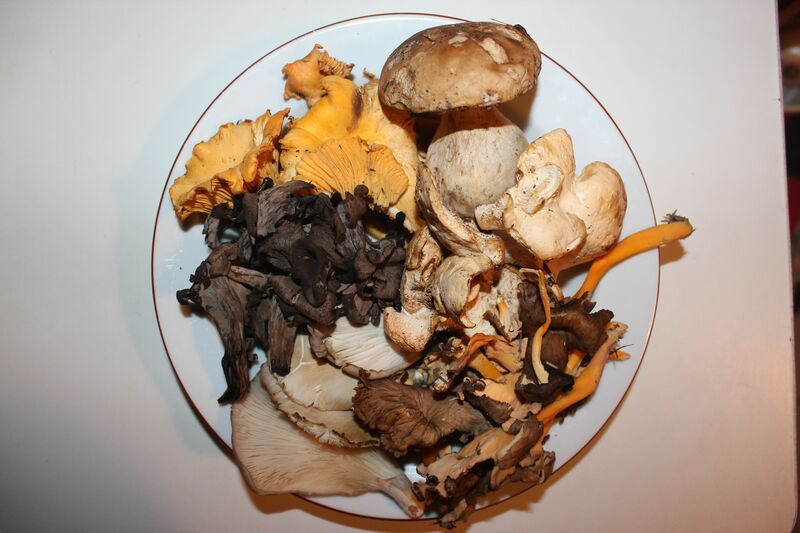 Posted on October 24, 2014 October 30, 2014 by srchristofferson	This entry was tagged cepe, champignons, chanterelle, cooking, cuisine francaise, cuisine politique, fall, food, food politics, France, French Cuisine, French food, french food law, girolles, immigration, mushroom hunting, mushroom season, mushrooms, pied de mouton, pleurote, recipe, shopping, wild mushrooms. Bookmark the permalink.